Chiropractic care is for virtually everyone. It can benefit people of all age groups. From the very young to the very old. Chiropractic care provides pain relief and helps a multitude of diseases and ailments. The elderly are particularly well-positioned to receive great benefit from regular appointments with a qualified chiropractor. This is due to the types of pain they tend to experience as well as for treatment and help with diseases that arise with advanced age. This represents an opportunity for chiropractic care to relieve symptoms as well as cure the underlying causes. Understanding the role of chiropractic care in overall health and well-being for elderly people can help you make informed decisions about your own health or help older family members and loved ones access the care they need. Unfortunately, joint pain is a fact of life for most older adults. After a lifetime of use, the reality is that most joints will suffer from fatigue and pain that can make the activities of everyday living painful, difficult, or even impossible. Keeping active in older age is one of the most important ways to promote longevity and increased quality of life well into one’s later years. 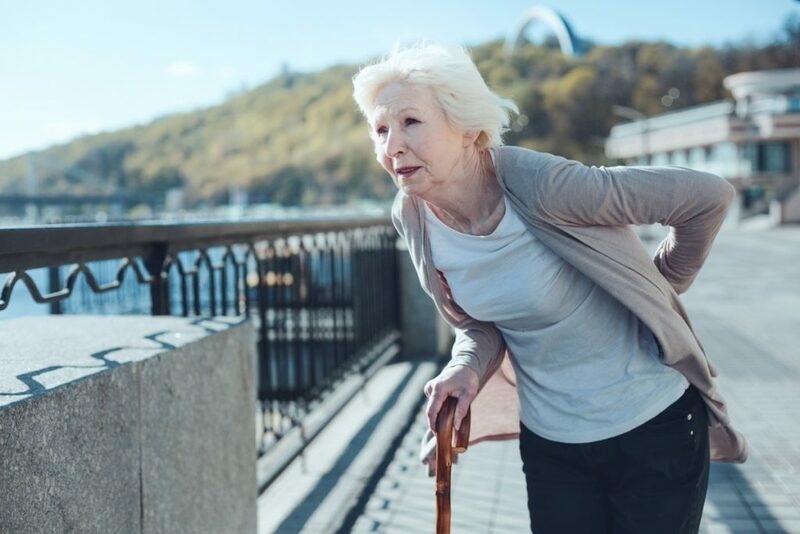 Untreated or unmanaged joint pain can prevent seniors from being active, as well as decreasing their independence and ability to do the activities in life they enjoy most. Whether you enjoy playing with your grandchildren, golfing on a new course, or something else altogether, chiropractic care can help you to maintain or achieve pain-free joints and keep you active for years to come. However, there is a solution. Chiropractic care can temporarily or permanently relieve joint pain by realigning mal-positioned joints and making sure the anatomical structures within the joint are well-positioned and not misaligned in a way that causes or worsens pain. Oftentimes, muscle spasms are the hidden cause of joint pain, and a qualified chiropractor will know how to treat these as well. The primary technique used in chiropractic joint pain management is manual manipulation of the affected joints, as well as of the muscle, bones, and joints both distal and proximal to the affected joint. Realigning the pelvis and spine can help relieve the pain of the joints of the hips, legs, and feet that many older people seem to experience. Degenerative disc disorders are unfortunately common. A part of normal aging, they occur when the shock-absorbing discs between the bones of the vertebrae are less able to do their job. This can make bending, twisting, and turning becomes painful activities. Chiropractic care is perhaps the most effective treatment for degenerative disc pain that is available today. Spinal manipulation is an effective and safe treatment for degenerative discs that can alleviate the pain commonly associated with them, such as that from pinched nerves. Degenerative disc disorders can be treated by your chiropractor with a variety of treatment modalities. These include manual manipulation of the spinal bones, massage, manipulation of the soft tissues, and more. As with all the chiropractic treatments noted here, they can incorporate nutritional counseling, homeopathy, herbal remedies, supplements, and more. Constipation is an unfortunate reality for many elderly people. As many as half of all Americans over the age of 65 suffer from at least occasional constipation. Not only can constipation make having a bowel movement very uncomfortable, but it can also lead to bowel obstruction, perforation, and other more serious medical conditions. There are several reasons why older adults are especially predisposed to constipation. Firstly, it is a known fact the motility of the bowels decreases somewhat with advanced age. Older adults also tend to consume fewer fluids and move less or be less active than their younger counterparts, which are some essential ingredients for optimal bowel function. What many people do not realize is that bowel function and constipation are very much related to the neurological system. Improving the innervation of the nervous system in the bowel can improve the passage of stool through it and facilitate adequate elimination. Chiropractic care facilitates optimal bowel motility by aligning the spine. Having the bones of the spine placed in proper alignment allows the nerves that pass through to the bowel to be unimpeded, resulting in improved elimination. Notable, with regular chiropractic care, some older adults who have previously had to use regular laxatives to treat their constipation have been able to go entirely laxative-free. No matter what health conditions you or your elderly loved one are experiencing, chiropractic care can provide a cure, ease symptoms, and promote overall comfort, and well-being.